What a nice contrast in celebrating 1 year of business on the left and 20 years on the right. See if you can spot the same 4 people. 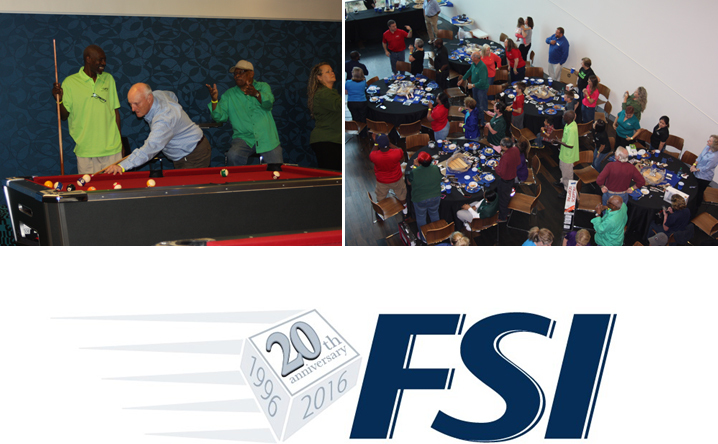 For such a momentous occasion, FSI celebrated our anniversary in style at the nearby Riverside EpiCenter. 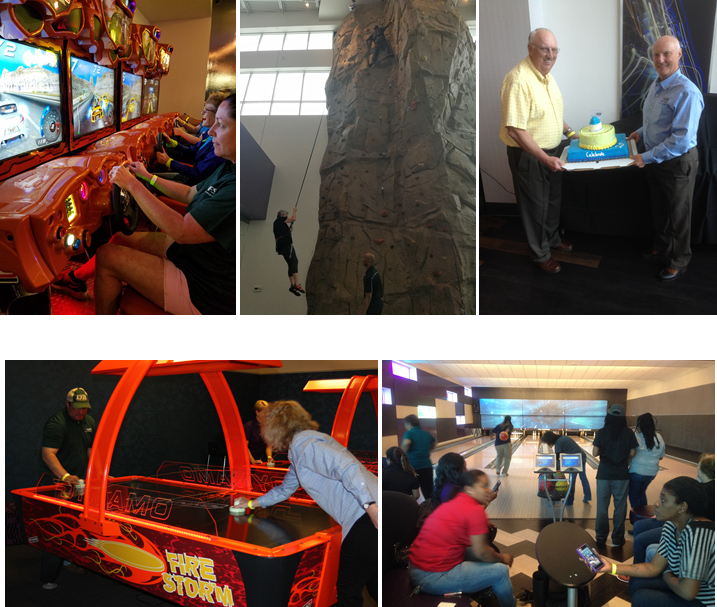 Employees got to enjoy their game room, rock climbing wall and bowling alley for a few hours before sitting down for a catered dinner and the fun and camaraderie that always characterize our gatherings. We ate plenty of cake, gave away lots of prizes (Yeti Coolers are quite popular, you know), reminisced about our favorite memories over the years, and just flat out had a great time together. We thank our employees, clients, vendors, partners, and families who have helped make this enormous milestone possible. It’s a total team effort. 99.95% order accuracy doesn’t happen by itself. A continually growing business doesn’t happen by chance. So with all that growth in warehouse space, employees, and clients while improving order accuracy, I hope that means that we’re doing a few things right. We’ve been growing from the beginning, and we have no plans to stop. Who knows what FSI will look like in another 20 years, but I do know that we will be around to celebrate it.